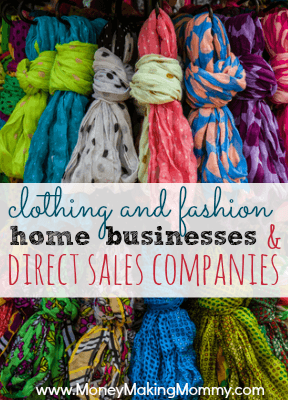 In love with the idea of having your own home business that revolves around clothes? You're not alone. In fact, there are many home businesses that allow you to start up your own fashion business for much less. These home party plans and online stores let you run the show, earn a commission and do something you love without having to build it from scratch and with a lot less stress. More and more direct sales that spotlight clothing are cropping up. There are certainly much more to choose from than say, 5-6 years ago. More and more ground floor opportunities seem to be opening up. Direct sales companies are a great way to tip-toe into a business you're thinking about starting on your own, or a great way to build a business without all the risk doing something you're passionate about. I've noticed that recently there seem to be a lot more “boutique” style clothing businesses cropping up. This is awesome in several ways for those interested in having a clothing home business without starting it from scratch on their own. For one, people are more and more looking for unique clothing that can't be found at big box stores. They love the idea of having fashion items that can't just be “picked up” at the mall. As well — fashion is no longer for the size 0 to 2's. The average American woman weighs 165 pounds and is a 12 or 14 in clothing size. Great clothes shouldn't be just for the super thin. I love that! So offering beautiful, comfortable and fashionable clothes for women, children (and men in some cases) of all sizes and shapes is long overdue. Not to mention — you can shop for most direct sales right from your home. So convenience is an added perk! Below you can find all the latest clothing direct sales companies that I've come across lately. I'll add more as I find them — so come back often or bookmark this page! – Boutique fashion that includes print dresses and separates. – Comfortable, peach fuzz leggings that come in dozens and dozens of bright, colorful, fashionable patterns. 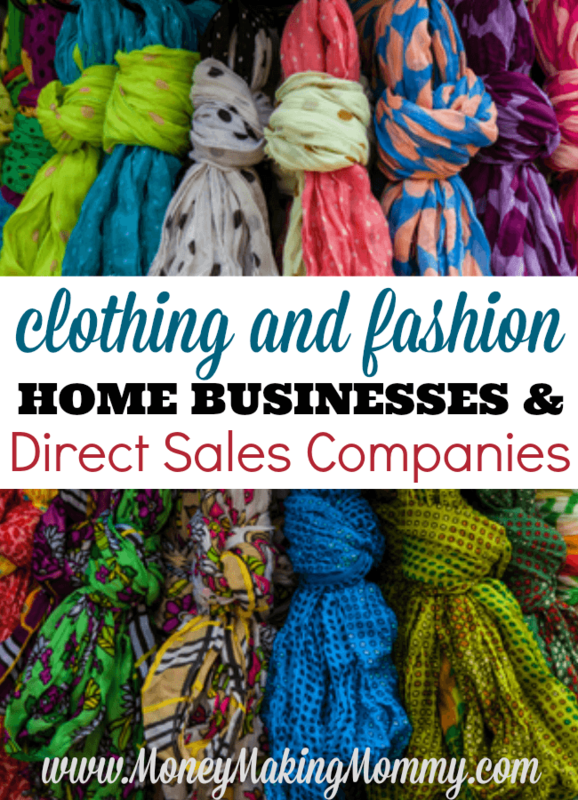 – A home business based around comfy, graphic designed clothing. – Fashion that includes comfy logo tees, boutique clothing, hats and accessories. – Fashion leggings. Earn commissions on your leggings sales and referrals. – Fashion for your nails. A variety of nail art and colors to choose from. – Wide range of clothing, including leggings, dresses and tops. – Free to sign up. No stocking, no business supplies. Fashion for women, men and children. – Newer company with a variety of clothing for both women and children. – Boutique clothing — boho style. – Makeup and skincare line with vegan and gluten free options. – Hair accessories of all types and varieties. – Clothing and accessories. Dresses and more. – Fashion stylist opportunity. Clothing, purses, accessories and more. – Newer direct sales company that focuses on gel nailware and products. – Fairly new company, founded in 2012. Nail art and nail wraps. – Children's high end boutique clothing. Want to be listed in the FASHION & CLOTHING section as well? You can! It's easy. All you have to do is fill out this form. Hi. I was interested in doing some home parties. We live fashion. Hi Iam from India. I have a ready to make bussiness and Iam interested in direct sales bussiness. Hi, I live in South Africa and currently have a home based home décor/gift business and would love to add some clothing, mainly mens t-shirts, scarves and accessories to my business. Would you be able to give me some guidance please.